Following Jason Quixos mastodon piece on war decs and Citadels, I had an interesting discussion with a gentleman in the comments section. The topic was originally war decs, on which he stated that he avoided war decs and PvP. He went on to claim that 62% of EVE’s population never engage in PvP and actively avoid it. In his view, CCP’s focus on PvP in general, and specifically with the Citadel expansion, meant the very backbone of EVE (the aforementioned 62%) was withering on the vine and that this was the cause of a supposed decline in players. CCP have given us statistics in the past, but they can be misleading in all manner of ways depending on a myriad of variables. The gentleman went on to say that he believed that PvP content is only actively pursued by a loud minority at the top of the pyramid, an “elite” if you will. Meanwhile, the foundation of said pyramid is being marginalised all the time in his view, Citadels being a prime example because raised taxes intended to stimulate Citadel use means this people will have to either risk war or simply pay more than someone that is prepared to engage in PvP. What is your view on the matter? Are we letting the foundation of EVE wither away while CCP listen to a loud minority? Or is it so that the main driver of EVE is and should be PvP, statistics being explained by PvP players engaging in regular PvE simply in order to fund their fighting? Dunk Dinkle: Many make the mistake of believing the large scale PvP activity occurs in isolation the rest of Eve’s population. Nothing could be further from the truth. Vast amounts of modules and resources are required for the large scale fleet operations to take place. These things come primarily from players focused on PvE and mining as their primary playstyle. Most null sec group doctrines routinely involve use of faction and deadspace modules. These items are ground out by players doing PvE or in faction warfare farming of LP in typically low or no PvP situations. The enormous amounts of raw materials needed primarily come from high sec mining. The T2 and T3 components come from cadres of industrialist spending time in POSes running reactions, not FCs running roams. Large scale conflict drives much for the market that the rest of Eve deals with on a daily basis. The Blue Donut leads to a poor market for everyone. The introduction of Citadels and eventual removing of older Starbases will affect almost all players and stimulate new opportunities for most playstyles. CCP could take the PvP mentality too far and start to eliminate NPC stations and corps in an attempt to push more into PvP conflict. This would be a mistake. Room needs to be left for players that aren’t interested in constant PvP to still play the game without feeling harassed. The current War Dec system is broken at a fundamental level, leading to shitclows camping market hubs engaing in what some would mistakenly call PvP. Niden: Although what Dunk says is true – PvP and PvE have a symbiotic relationship and I daresay more time is sunk into PvE than PvP – I don’t think it gets to the heart of the matter. Allow me to explain. Just today I took my alt via gates from the heart of northern lowsec to Jita to buy needed hardware for the weekend’s fleets. This happens every time I do this: I am always amazed at the amount of people that are crammed into highsec. Literally as soon as one steps from lowsec to highsec, it’s crowded. Again I came to the realisation that I have no idea what these people do, beyond a vague idea of missions and industry. I don’t know who they are, I don’t recognise their corporations or alliances, it’s all just a grey mass of unknown to me. My own understanding of the balance between PvP and highsec PvE tells me that people who play EVE for the PvP in lowsec and nullsec also often have alts grinding away in highsec for ISK, be it literally PvE, or industry and trade. But that’s about where my understanding ends because I spend about 1% of my time in highsec and 0% of my time doing PvE, industry or trade. For me, EVE is about three things: PvP, narrative, and community – a sentiment that a lot of the people I interact with in the community share. So it is quite possible that the loudest group of people (a minority even) in the community are people like me and that this projects an unfair image of the player base. I am certainly dependant on people engaging in PvE and industry, but I am quite frankly unaware of how this source of nourishment works. Kind of like taking clean water on tap for granted. So yes, I worry that what the aforementioned gentleman was complaining about has a kernel of truth, and that I am simply ignorant of it. Not only ignorant, but try as I might, it does not interest me, even though I depend on it. Indeed, I am open to the idea that CCP depend on it for a, if not majority, considerable amount of the subscriptions to EVE Online. I simply do not know, and it worries me that the EVE I enjoy is a luxury on the backs of others – of which I, and mayhaps even CCP to an extent, am ignorant to. Sanders Schmittlaub: I agree that there are certain problems with the mindset of the vocal minority in EVE. Everything that the null blocks throw into the grinder needs to be generated by PvE warriors and industrialists, and there has been very little going on with Citadel to make either group all that excited. I’m no PvE pilot (apart from doing wormhole sites with a fleet, the occasional DED site, or boredom-induced hisec mission), so I can’t really speak for that section of the populace, but I can say that Citadel has no direct effect on PvE content. It will provide a slight decrease to profits from the increased market taxes at NPC stations, but that’s pretty negligible. CCP has hinted that development was ongoing on new NPC AI with the Drifter stuff, but that was months ago and nothing has been heard on that front except that Drifter Incursions would be going away – not exactly high praise for the new AI. Not a lot of reason for PvE players to stick around when the only thing the future seems to hold is eating the same moldy salad repeatedly forever. On the Industry front, which I am much more involved with, Citadel provides… Astrahaus, Fortizar, and Keepstar blueprints. That’s it. Industry will stay firmly tied to POS, with the same mechanics, benefits, drawbacks, and absolutely horrible reaction interfaces. There is promise that all of that will move to the new structures in the future, but once again, not a lot of excitement beyond building the big new space castles. To me, these two show that there is some bias towards the vocal minority. The two sectors of the game that directly support the ability of null blocks to piss away 141 Machariels in a single go aren’t getting any love, while the PvP oriented pilots are getting the biggest and baddest fortresses this side of the Maginot Line. Hopefully once Citadels release and the kinks are worked out, CCP points their developers at getting industry moved over and some new PvE content. Chance Ravinne: Niden brings up narrative and I think that’s a major point that pushes CCP towards PVP development. PVP players are not just the most vocal within the EVE community; they’re the most visible to the outside non EVE gamer community. Articles, videos, blogs, stories.about EVE ate largely composed by PVPers. They are the public face of EVE. You hear about the giant battles, massive scams, betrayals, traps, and near death encounters. Mission blitzing? Not so much. Keeping those people happy and active is not just about keeping them subscribed, but also generating interest and hype among the broader gamer population. And until there is an enormous PVE revamp that blows away other modern games, it will stay that way. With the comment “13.8% of players engage in PVP on any given day”. So CCP knows this yet despite this they devote a disproportionate amount of Dev time on PvP. So it really should not be surprising that most players (on whatever measure you choose) don’t do PvP. Most of them live in Hisec too even if you account for alts. It makes perfect sense. It is the business hub of the city state that is New Eden. Null being the rural backwaters ruled by landowners, Lowsec being industrial hinterland with gangs fighting over their neighbourhoods and wormholes being where the refuseniks go to live their alternative lifestyles. This all needs a working infrastructure, an economy and the people to support the pew pew of the few. If you mess with any of those three factors then you are in the realms of unintended consequences. Citadels directly impact both infrastructure and economy of Hisec so will obviously have some unforeseen impacts on the third – people. But it goes further. Many people (not including myself) do not want to have any direct relationship with Null or even Lowsec. Hisec is what they want to do specifically because it isn’t any of the other places in Eve. But CCP with the proposed citadel changes are seemingly determined to outsource Hisec content to the Null entities and washing their hands of any responsibility. The very thing many of the inhabitants seek to avoid. So a change aimed to improve the lot of a few could well have unfortunate ramifications for CCP and they possibly will have lost control of the levers to put it right. Even for those that do want to engage with the changes, the rug has been pulled from underneath them. There has been no real explanation why Medium Citadels cannot have markets. But this decision cuts out a large proportion of solo and small independent groups from the action, as well as giving them no path to grow, mature and eventually challenge the existing large groups. 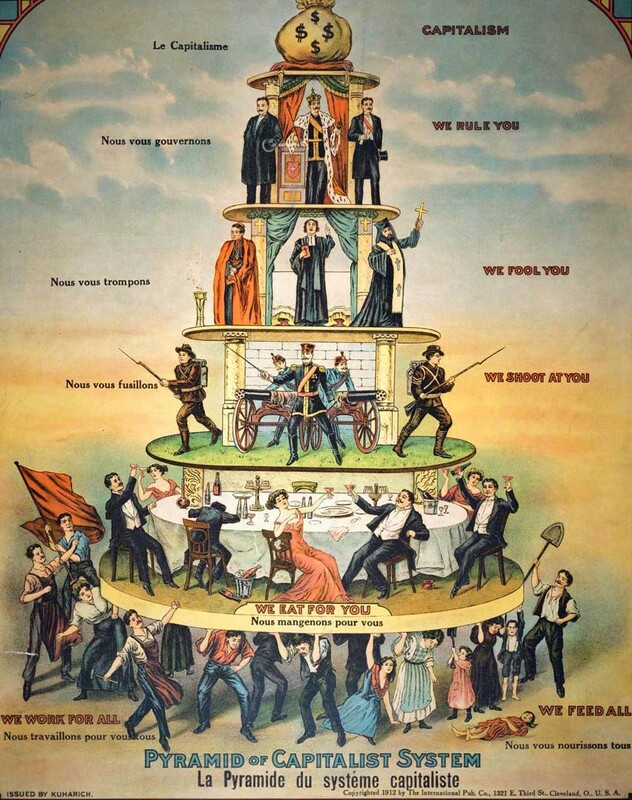 What these second class customers are given instead is a future where they either have to subsidise a citadel’s Null block owner’s income or have to grind more to pay the higher NPC taxes just to be able to buy or sell something. It’s not a good one because it is in no way better than the current arrangements.. So to answer the question, yes we are letting the foundation of EVE wither away, or rather sold away. It might of course be this is exactly what CCP wants to happen for reasons I am not familiar with. Perhaps PvPers are more profitable customers? Perhaps non PvPers are turning newer players off joining Eve? It would be good to know what CCP believe the impact of their policy will be and why that would be a better outcome than the current situation and indeed better for the game as a whole. General Stargazer: PvP vs “non PvP” balance in Eve has been an eternal struggle. The game is portrayed as a self contained universe, a sandbox that is driven by those that play in it. Let’s quickly look at something as simple as using a battleship to pvp with. In order to go out and PvP in it you’re going to need to be able to first get the skills (and support skills to fly the thing). So you’re going to need to raise the isk to buy the skills. So you go out and mine for it, or you do missions, or capture a few complexes in facwar to convert your Loyalty Points into items to sell. But you then have to get all your items you’ve made yourself to somewhere you can sell them, so you have to get a ship that can move them to a trade hub. But to get that ship, someone would have to have built a ship in the first place, that person in turn would have to have got the skills to manufacture, the blueprints, the minerals, the trade and then moved it to the location to sell. By this point there is a good wedge of non pvp actions already had to have taken place before the individual has even got the ship. Then the process occurs again with each of the mods on that ship. Someone, somewhere would have produced them for you to use. So yes, in a sense, I can appreciate that there’s a lot of steps involved in getting to where PvP occurs and that is often forgotten about. But at the same time, it’s typically seen as a big portion of the game too because of its excitement value. The largest swathes of the game is setup into an environment that is supposed to encourage PvP to occur. Spaceships shooting spaceships also makes for good press! We have the Alliance PvP Tournaments every year, hosted by the game’s creators, but it’s not like they host manufacturing tournaments, or mining tournaments, or even trading tournaments because, let’s be honest, in its current state, it’d be pretty pour watching from a competitive point of view. The game makes the news in the big fights for breaking records of sheer loss in a singular fight by multiple entities and everyone loves a good picture of spaceships shooting each other; not because someone completed the manufacture of their 250th Megathron. A portion of what i’ve said here has pretty much been touched on by everyone else, but part of me is also asking, in the big picture of New Eden, if you’re not pvp-ing and you find what you’re doing is fun, would you really complain about it? How many ways can you organise a trade or build a ship ? Some things are just the way they are and in a sandbox universe I don’t think it’ll change. People will just talk about whatever is the most versatile, dynamic and competitive in a game and I think PvP wins that side of most games. Jakob Anedalle: The statistics from CCP Quant can be interpreted in many different ways, and I think the quick reading we’re hearing here is very analytically lazy. Even assuming that the “13.8% on any given day” is indeed players, despite the fact that CCP has previously said they have trouble distinguishing accounts from players in their data. I play perhaps 4 nights out of the week, and when things are quiet in the warzone I might only get in a fight one of those nights out of a seven day cycle – so that would be a “14.3% on any given day” stat. This would then describe a “PVP Casual.” But PVP is what I look forward to foremost in Eve. My station trader alt logs in once or twice every day. When I had an alt in the now-departed Aideron Technologies I logged in twice a day to swap jobs around. Does that mean I’m twice as much of a trader or industrialist as a PVPer? Does that mean that CCP should invest more money in improving the station trading playstyle? That would be the wrong answer for this use case, since the station trading and industry is there to fund my PVP, though there certainly are players who have each of those as their main playstyle. 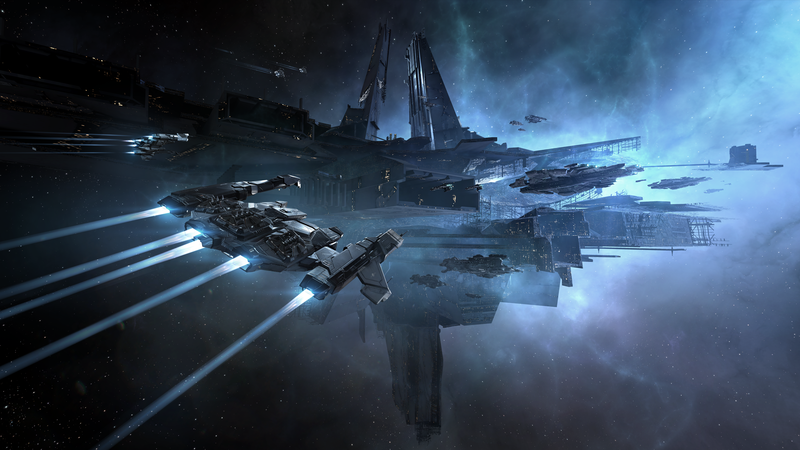 Eve Online Keynote 2015 – CCP Quant’s presentation. See his breakdown of the Professionals (all aspects of Eve) plus the Aggressors compared to the Entrepreneurs plus the Traditionals. There is a bias towards the latter combination – perhaps this is the 62% quoted? Read also Neville Smits analysis in his blog entry “For All The Quiet Ones”, which is where I was able to finally get this video link since CCP hasn’t made a playlist of their Fanfest 2015 videos. I won’t reiterate his points on “Why Better PvE is Good for Everyone”, but I think just about everyone would agree that making missions less predictable, perhaps via procedural generation, would be a huge step forward that would help everyone enjoy PVE more. More controversial would be to make more PVE like burner missions, with a dynamic opponent ship that can contest a well fit, well flown ship 1v1. Narrowing the gap between PVE and PVP is somewhat like when we hear some long-time players say that all players should naturally move from highsec to nullsec – that may not be the direction those customers are putting down their subscription cash to enjoy. The structure of Eve may be well described as a pyramid with a gold-plated top for PVP, but there is a need for a strong base to that pyramid, and to misuse a recent business slogan there is a fortune to be made at the bottom of the pyramid. CCP has grouped players into 5 stereotypes: Professional,Entrepreneur, Aggressor, Social & Traditional (plays Eve like a traditional MMO. This diagram describe what these stereotypes tend to do in game. Also note, structure grinding will not be anywhere near that level now with Aegis Sov. Saint Ambrye: PvP is the basis for pretty much any MMO in existence right now. Quick twitch games, such as first person shooter games, are more prevalent due to many factors and designed to appeal to our shortened attention spans. Eve is no different in this area and is founded on the PvP aspect of the game. To paraphrase one of my mentors very early on in the game, “There are two types of Eve players.. The hunter and the prey.” All players regardless of game play have to deal with PvP in some form or the other. From gankers, to elite PvPers, to BLOPS, to roams everyone will experience at one time or another. I was dead set against being a PvP person when I entered the game two years ago, thinking that I could just do my industry thing and never have to worry about losing a ship. Ship destruction was good for my intended career and would allow me to slowly amass a fortune of ISK.That changed extremely quickly as I joined a player corporation and then my industry skills were getting intermixed with combat skills so I could help in some way with the fleets needed to secure our space. As an Eve player you cannot hide your head in the sandbox and expect to never get involved in PvP. IT is inevitable that all players will get involved, either voluntarily or involuntarily, in PvP. I have slowly came around to the dark side of Eve and now look for fights out in my systems around our capital seeking to get better at PvP for two reasons: 1. Be better able to defend myself against other players, and 2. It adds value to my playing by feeling that I am a part of something bigger than me. This game is built on PvP because that was the way of the west as Eve started out and the style of play emerged from those early players. This is the beauty of Eve is that the players before us set the standards and expectations of game play in order to entice more people to play and join in the fun. Tarek: As stated before, PvP and PvE activities exist in a symbiotic relationship. If the PvPers don’t fight and lose ships, the PvEers will run out of customers to sell to, and if the PvEers don’t loot, many much desired modules and base materials will not be on the market in sufficient quantity to satisfy the demand. I would add an additional distinction here: many people will exclude all non-combatants from the term PvPer and I am sure in their statistics CCP use aggression timers as the basis to determine whether someone engages in PvP. However, industry and trading also involve considerable PvP elements. People compete on the markets, engage in races for the best sources of cheap deals and try to bring finished products to the market as soon as they can and even alliance logistics or professional haulers like Red Frog need to engage with the game world in a competitive level to sustain their activities. True PvEers in my eyes are only those who spend the vast majority of their in-game activity with mining, mission running or ratting and with no other goal than to re-invest their income into even more PvE activity. A player who has three alts collecting loyalty points, incursion rewards and high level ores to be able to build or afford ships for fighting is essentially a PvP player even if they spend a lot of time doing other things than ship combat. A player who rats or mines in nullsec and occasionally joins a fleet because they have to lest they be kicked out of their corp/alliance is a PvE player because they do not want to engage in PvP activity, they are forced to, just like a highsec mission runner or miner who is preyed upon by gankers. Under these conditions, I believe it is fair to say that a considerable amount of PvE activity not only indirectly serves the purpose of PvP but is seen as a necessary evil by those who need income to replenish their PvP losses or to gather and buy base materials and goods for industry and trading. That being said, I still think the amount of pure PvE players in EVE is considerable, and I agree that their playstyle does not get enough attention. Reforming and redesigning the PvE mechanics would not only serve them though. Inconsequential and boringly repetitive activities that can be done AFK or effectively conducted by a bot are in my opinion against the essential core of what EVE as a game is supposed to be: a world that is influenced by the actions of players and where player actions have consequences for themselves and others. The “bot aspirants” – to borrow a term from CODE – and AFK farmers are the symptom of a disease that eats away at the core of the game. 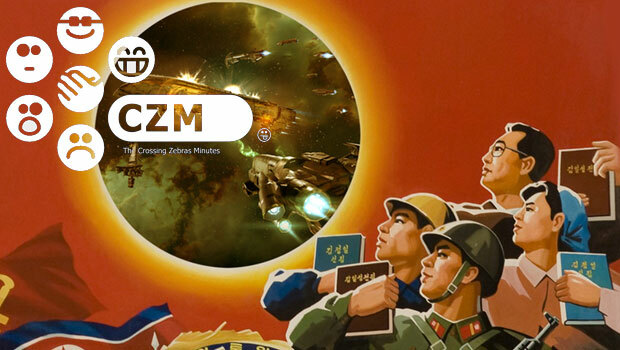 I think it is high time that CCP dedicate major development time to the game’s PvE mechanics and content, and since so many engage in PvE the results will benefit the gameplay of everyone with the exception of the truly autistic mission runners, miners and ratters who do nothing but leveling up their wallet. 12 year EVE veteran, Snuffed Out scumbag, writer, graphic artist, producer, Editor-in-Chief of Crossing Zebras and the second most influential player in EVE, according to EVE Onion.